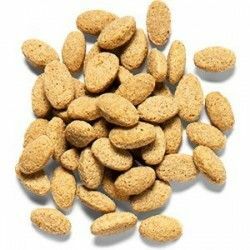 Feed of maintenance are indicated to be supplied to the pets and players in the stages of inactivity reproductive. 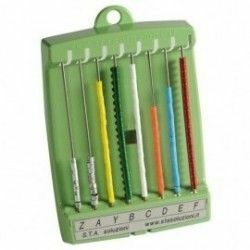 Their composition allows them to cover more than met the nutritional needs of these stages. 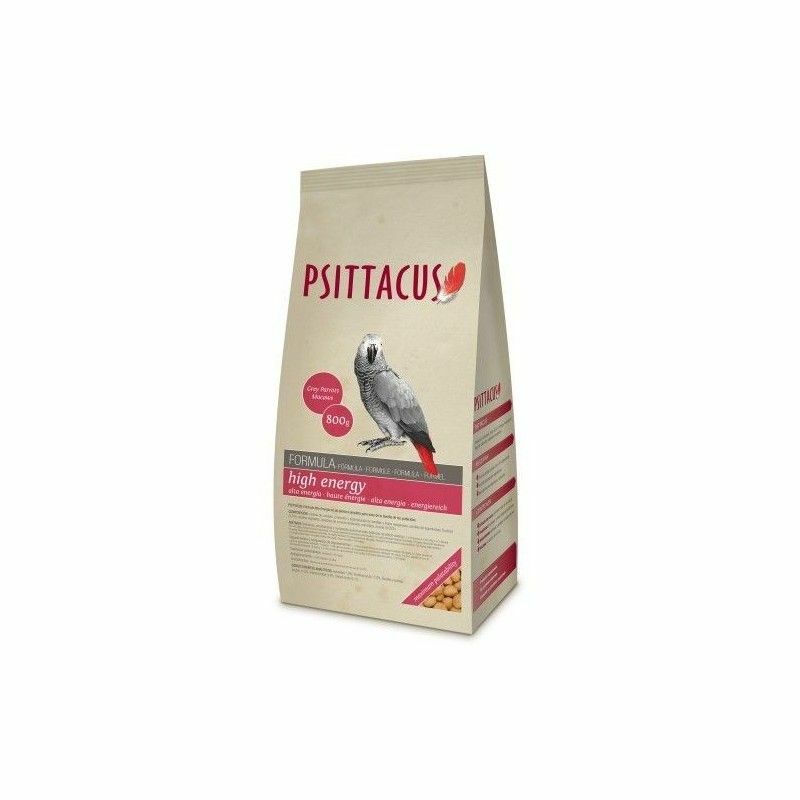 Recommendations Psittacus is formulated to constitute 100% of the food of the parrot. However, we consider interesting to provide daily fruit and vegetable fresh to give variety to the diet. In this case, we recommend that Psittacus does not fall below 70% of the total of the same. 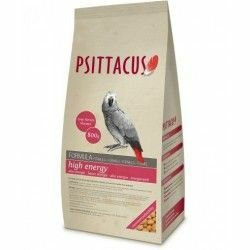 It is not advisable to add any type of supplement or vitamin-mineral to those parrots that are fed basically with Psittacus. 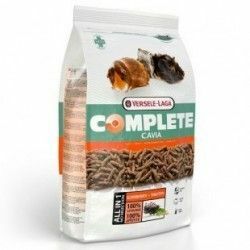 It is convenient to renew the feed and water daily. Composition cereal Grains / products and by-products of seeds and oleaginous fruits / seeds legumes / fructose / vegetable oils / yeast / minerals. 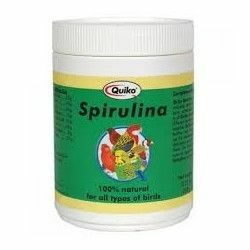 Additives Amino acids their salts and analogues / inulin / Mixtures of flavouring (contains extract of yucca 0.015%) / sepiolita / antioxidant Substances / Trace elements or compounds of trace elements (chelates of iron, copper, manganese and zinc; iodate, calcium and sodium selenite) / Vitamins and provitamins (A, D3, E, K3, B1, B2, B6, B12, C, Ac.Nicotinic Acid, Ac. Folic acid, Biotin, choline Chloride), B-carotene). 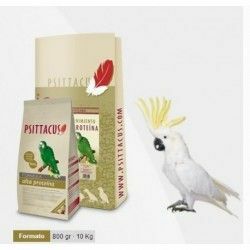 Analytical constituents Humidity-7,0 %, crude Protein 17,0%, Oils and fats gross 11,0 %, crude Fibre 3,4%, crude Ash 5.1% per Package Package of 800 gr / Bags of 12 Kg INDICATIONS Indicated For pets and players the rest period is reproductive. Daily consumption Ranges between 5 and 8% of the weight of the animal. 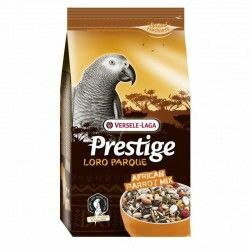 The species of medium size (for example the grey parrot) consume about 20-40 g. Recommendations Feed with feed, fresh fruit and vegetables. 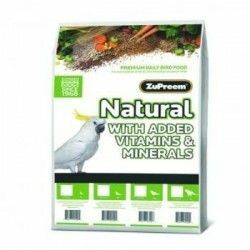 Renew content on a daily basis of the feeders and provide fresh water. 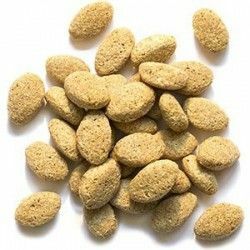 Description: Is indicated for species that in the wild they consume a significant amount of the seeds of oilseed plants (macaws, grey parrots, poicephalus...).